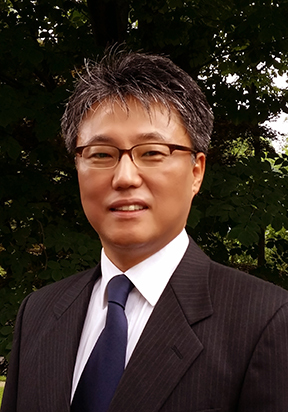 WEST WINDSOR – The Mercer County Community College (MCCC) Board of Trustees has approved the appointment of Dr. Eun-Woo Chang, Instructional Dean of Science, Engineering, and Mathematics at Montgomery College in Rockville, Md., as Mercer’s next Vice President for Academic Affairs. Prior to his appointment at Montgomery College, Chang served as program director in the Division of Undergraduate Education at the National Science Foundation. He also served as a chemistry professor at Truckee Meadows Community College in Reno, Nev., for 17 years, where he was chair of the Physical Science Department, Faculty Senate chair, and member of several college-wide and statewide leadership committees. In 2004, he spent a year at College of Southern Nevada in Las Vegas as a member of the 2004-05 class of ACE Fellows, a prestigious leadership cohort selected by the American Council on Education. In addition, he served as Interim Dean of Mathematics and Sciences at CSN during the 2005-06 academic year. Dr. Eun-Woo Chang, the newly-appointed Vice President for Academic Affairs at Mercer County Community College. Chang earned a B.S. in Chemistry from Yeungnam University in South Korea, a M.A. in Chemistry from Minnesota State University, Mankato, and a Ph.D. in Chemistry from the University of California at Los Angeles. After receiving his doctorate, he completed a postdoctoral fellowship in the Department of Chemistry at Harvard University. In 2010, he was named an American Chemical Society Fellow. Chang will join the MCCC staff on Aug. 14. He replaces Dr. Donald Generals, who has accepted an appointment as president of Community College of Philadelphia.